Top Ten Best Books to Read Round Halloween! -I once described this book as the modern negative (in terms of what’s dark is light and vice versa) of Jane Eyre, and I still think it’s an apt description. -Demons named the Archbishop of Canterbury and other titles! The Dance of the Macabre! Magical ghosts! What more do you want? -It’s not easy being a wicked witch’s daughter. It’s also not so easy dealing with the host of magical creatures on call through her magical powders…or going to school. -This breaks from the exact Halloween tradition a bit, but crows! And magic! And mystery! -Having to dress up like the dark lord or a wizardly guide can be irritating. Having to do it for different groups all tourist season can be murder! 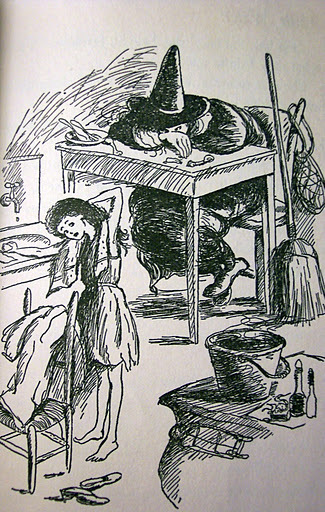 -Witches, witches everywhere, with everyday horrors rubbing shoulders with magical happenings, flying statues, and of course-cats who run the household. -Death and murder everywhere converge in two confused, comical performers. 10. I don’t care if it’s cheating-http://shoebox.lomara.org/ by ladyjaida and Rave. 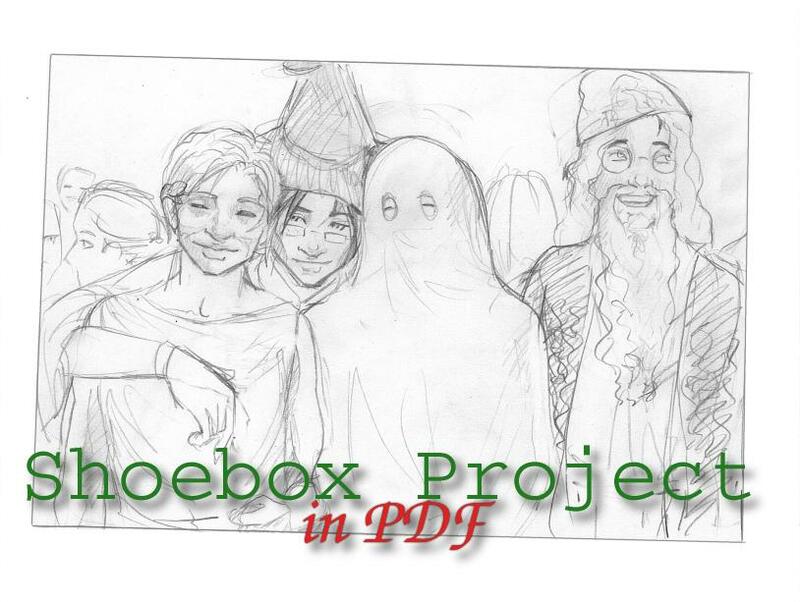 -Wizarding ghost stories, Dumbledore pranks, and Marauders, oh my! Attested Development: Can’t Getaway from the SPOILERS. This is the return of Gob, resurrecting his life from the consummation of his relationship with Ann, and removing all doubts that he’s been filled with holes (in his memory), died (to his entourage), and come back to his father. Will Arnett sells everything he does brilliantly. The only problem is that sometimes no one told him when to stop selling-like with stammering shticks and the reel about forget-me-nows. Properly edited, this episode would have been perfect. As it is, it’s a bit long, but still plants it right on the Ann. Gob’s wedding ends even worse than his previous magicapades, his entourage stint is actually believable, and Gob’s total mental lock on every relationship he thinks he’s in means that it matters a looot less whether he actually has good characters to interact with or not-he’s got relationship dynamics all by himself. On top of which, he now has a magic-related quest: That’s a clear-cut situation with the promise of comedy. Whereas most of the other characters are dealing with more difficult situations without easy answers. 1. Gob does have a knack for finding girlfriends who can get him on TV shows, doesn’t he? 2. MICE-alaneous is actually a charming name, and it is reassuringly consistent that all of Gob’s magic animals share the same fate. Who wants to bet the mice get eaten by a seal in a yellow bowtie? 3. I love the giant HER? 4. This is the second marriage Gob’s had without anyone paying attention. 5. Who do we suppose really sabotaged Gob’s magic trick? Fer’s grown up surrounded by the magic of a home filled with herbs, honey, and healing, but she doesn’t quite seem to fit. Then she rescues a boy with yellow eyes from a land filled with the magic of nature, wildness, and secrets. Suddenly, Fer has reason to believe she can belong somewhere. Maybe she can learn more about who she is and what happened to her parents in the other land, a place where magic rules and all oaths bind. The Way is open. Prineas’s writing envelopes you, enfolding into this world where familiar stories draw close and breathe warm. The magical world of Winterling doesn’t need to pull you anywhere, it visits your home with a smile and warm pastry. Fer, the young girl out discovering, leads the story in a gentle, natural way. It’s wonderfully easy to absorb her reactions and relax into her thoughts because they aren’t just a heroine’s thoughts, but the organic musings of a misfit girl. 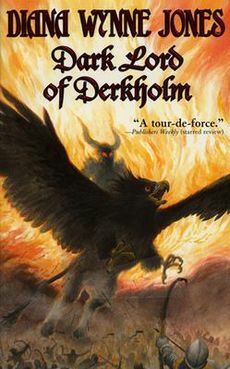 Moreover, the book does not devolve into a battle between the good and bad sides of its heroine; Fer’s character grows, but is always whole and open to the reader. This harmony between the adventure and its discoverer makes Winterling an easy, comforting read. Prineas balances the pace by adding sections from yellow-eyed Rook’s rough point-of-view. This sinks the reader more firmly into the world and builds suspense, ensuring that this is a cup of tea that keeps you awake and eager, rather than lulling into sleep. 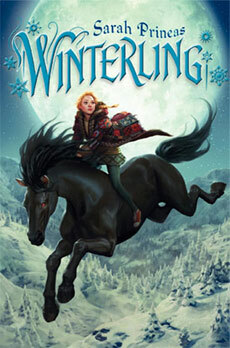 Winterling is a scrumptious snack of fairytale images, an independent heroine, and crystal-bright writing. It’s a perfect tale for reading at the ending of winter and the coming of spring.